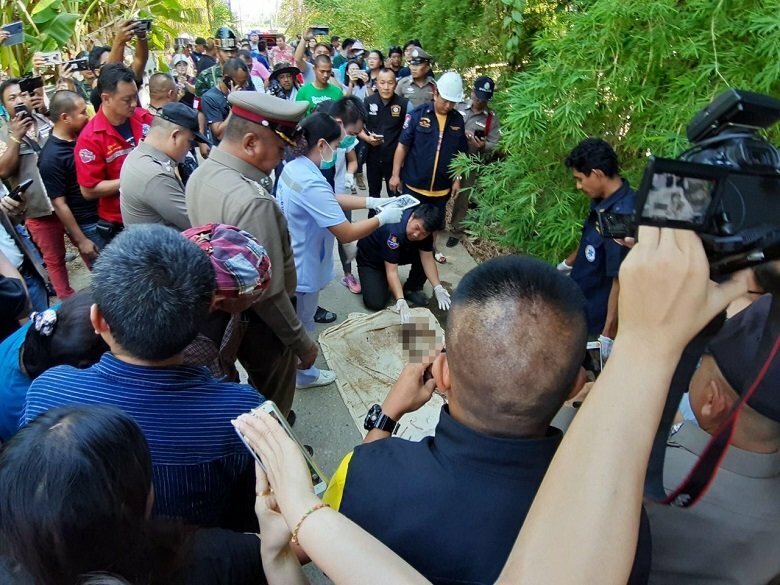 The body of toddler Phakin Krualamhan, who had been missing in Phetchaburi’s Tha Yang district since April 1, was found on Tuesday morning floating in an irrigation canal 15 kilometres from his home. The boy’s mother Araya Krualamhan, 26, confirmed that the body was that of her son, prior to an autopsy being conducted at Tha Yang Hospital to determine the cause of death. Phakin’s parents had called upon social media for help in locating the missing toddler, who was just 19 months old. Those speculating over the child’s disappearance on both social and mainstream media suggested that he might have fallen into a canal by accident, that he had been abducted, or that he might have been harmed by his mother to spite her husband Chokechai Kidtalo, 32, who works and stays in Bangkok. CCTV footage showed Phakin, his mother and elder brother out buying goods at a convenience store near their home at 4.21pm on April 1, before the toddler reportedly went missing from his home – situated in a mango orchard – at 6pm the same day. Rescue workers had been searching tirelessly for the boy for eight days in the third irrigation canal in Tambon Tha Khoy, which is located about 50 metres from the family’s house. At 8.36am on Tuesday, the Phetchaburi 191 emergency centre received a call from villager Somkat Channak, 53, who had found a body floating face-down in a connecting irrigation canal in Ban Nong Kao Nok (Moo 2) in Ban Lat district’s Tambon Rai Makham, some 15km from the toddler’s home. Somkiat said he had been riding a motorcycle to check on his rice field and spotted what he initially took to be a doll floating in the canal, but which on closer inspection turned out to be the body of a very young child. Believing it could well be the missing boy he had heard about on the news, he immediately alerted police.